The hot geopolitical topic that has been most discussed during the past couple of days is Russia’s withdrawal from Syria. While a withdrawal was logical, no one could have predicted the timing of such an announcement. Russia’s politics and international relations are based upon a very clear and cold-eyed view of its own national interest. In Syria, Russia's real aim [which by the way was achieved] was securing its footprint in the West Asia/ Middle East region and rising from the ashes of international isolation brought on by NATO’s hegemonic meddling in Ukraine which led to Russian-supported intervention. But back to Syria, Russia’s air base and port in Syria would remain. President Putin has already made a consequential point with his intervention: Two decades after the Soviet collapse, Moscow remains capable of not only of projecting power thousands of miles from its borders, but to also be quite successful at it in face of Washington’s objections. Intervening in Syria was a way to do both. The pullout, then, makes perfect sense once it is established that President Putin's intervention was not solely about ISIS, terrorism or even helping President Assad himself. It was not in Russia's interest to be in a drawn-out process in the Middle East. Economically, with low petroleum prices, certain outcomes are not great for Russia and Russian strategists are still looking at Ukraine in terms of their military foreign policy. As far as President Putin's allegiance to President Assad, while Russia's support for President Assad's regime has been unwavering, it was more about principle than personality when it came to the Syrian leader. There were signs that President Assad was becoming overconfident to the annoyance of Russia. You can see some tensions there as Assad was looking like a liability. While equipment and manpower were being loaded out, Russia is still leaving quite a bit behind. Russia will maintain its two bases in Syria and could in theory jump right back to its ally's assistance. Those bases would be as follows: the naval facility in Tartus, and the Khmeimim Airbase in Latakia which has a 600 naval infantrymen force that provide its security. These of course will remain intact. 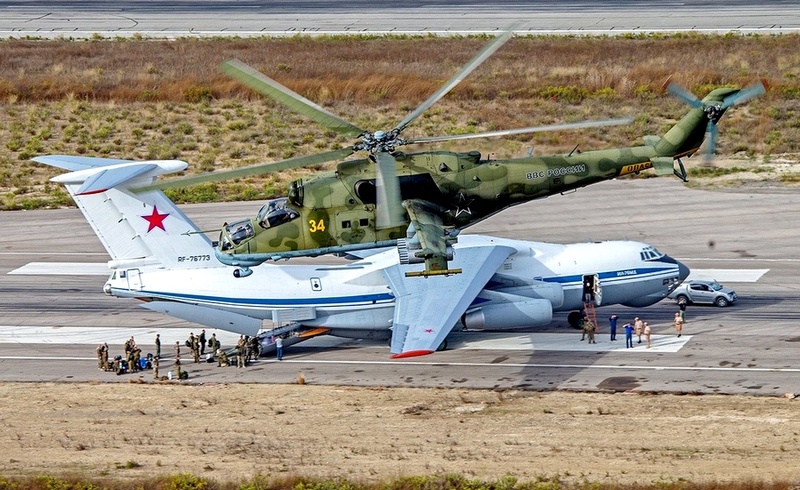 As such, Russia is definitely preserving its military presence in Syria, for example keeping the S-400 missile batteries, troops in the Khmeimim Airbase in Latakia and as mentioned above the naval re-supply point in Tartus, along with military advisers to President Assad. Contrary to what it seems, Russia is not really leaving, just decreasing its military presence there for the time being. Still, the pullout was partially about sending a message to President Assad after the Syrian leader rubbed some in Moscow the wrong way. Apparently, President Assad had stopped listening. This pullout is a certain signal to the Assad administration that there are behavior boundaries. In the grand scheme of things, the six-month intervention cost President Putin little in terms of resources when stacked up against the valuable PR he gained. It also showed Russian citizens that he was effective and powerful in addition to putting him on equal footing with the U.S. on the Syrian issue. As such, we can argue that Russia did in fact achieve her main strategic goals in Syria. Russia was fighting for breaking out of international isolation, for return to communication, and to get back its seat on the global board of directors, if you will. It is the opinion of this analyst that all these goals were achieved. Now that Russia has managed to maneuver itself into a position of real leverage by showing it can incentivize or de-incentivize President Assad in a way the West cannot, that sets a certain tone for the crucial peace talks currently underway in Geneva, Switzerland. The Kremlin said President Putin and President Obama had a constructive and frank conversation in which both called for intensifying the political process for settling the Syrian conflict. Such admittance coming out of the White House is surely a win for Russia. Intensifying the political process will incentivize the Syrian government to negotiate an end to the conflict. With his protector leaving for now, President Assad may have to be more proactive in reaching a political solution to this bloody five-year old conflict where 470,000 have died, 1.6 million have been injured, and approximately half of Syria’s pre-2011 population of 23 million have become refugees in countless countries. Syrian state media tried to play down the significance of Russia’s pullback. State television stressed that the decision was made in coordination with the Syrian government, even though a day earlier the Kremlin stated it had not consulted with its Syrian partners prior to the move. Other allies of the President Assad’s government also stated they were surprised by the Russian announcement. A representative of Lebanon’s Hezbollah, an Iranian-backed Shiite militia that has sent elite fighters to Syria to aid President Assad, called the snap pullout a shock. “We have to wait and see the real intentions of the Russians, because at the end there is fear that Hezbollah would be paying the price,” the official said. All-in-all, Russia’s intervention in Syria was a political as well as a military victory both for Russian diplomacy as well as for the Russian armed forces. By pulling out of Syria at this sensitive crossroad, Russia is not only exhibiting but proving its good faith to put all her weight behind the ongoing negotiations in Geneva. Unlike Washington, Russia is too keen to find herself stuck in never-ending Middle Eastern quagmire nightmares. This kind of entrapment is exactly what Washington desires, not just in Middle East but also in Ukraine. Washington wants an over-exhaustion of Russian resources much like it has done with its own - both in term of capital as well as human - in its hegemonic and idiotic misadventures in Afghanistan, Iraq, etc. during the past 15 years. Unlike Washington, Russia always had a clear and swift exit strategy, one which we are all witnessing in Syria.